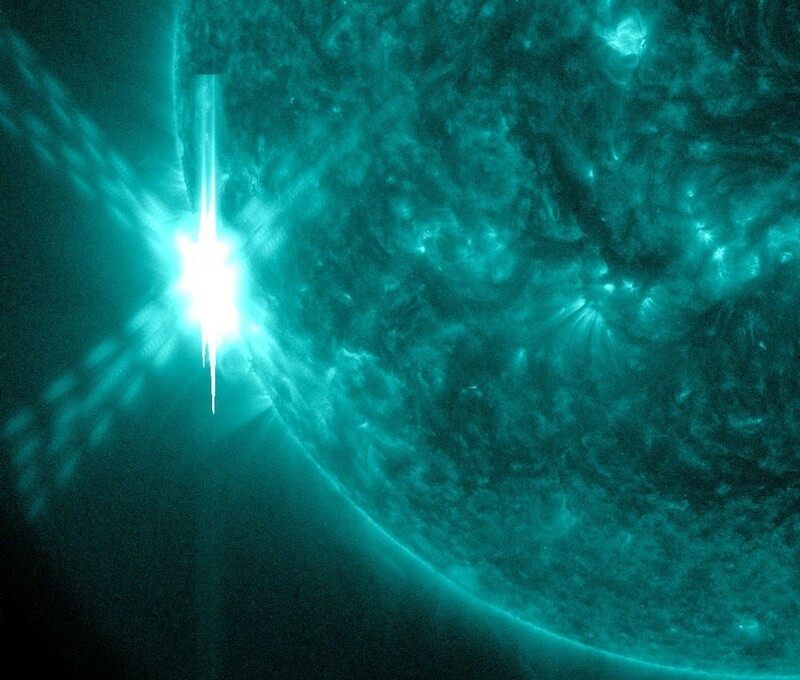 A strong solar flare measuring X1.5 was observed around region 2087 at 12:52 UTC / June 10, 2014. This was the second such event in just over an hour. 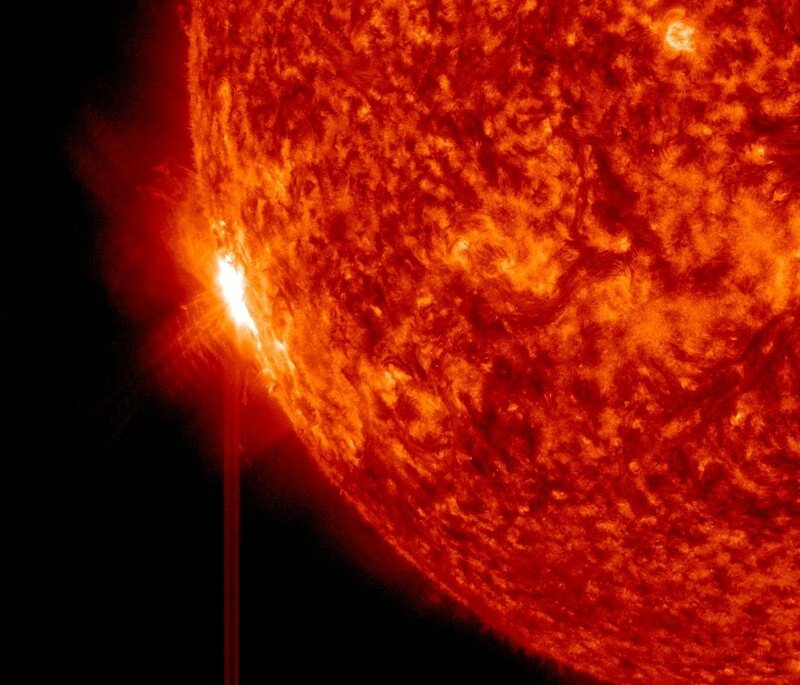 The event was associated with a Type IV radio emission and a 10cm Radio Burst measuring 530 solar flux units and lasting 18 minutes. 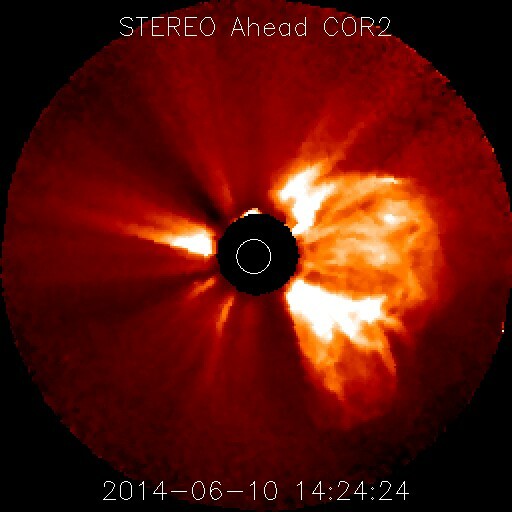 A bright coronal mass ejection (CME) became visible shortly afterwards in STEREO Ahead COR2 imagery. 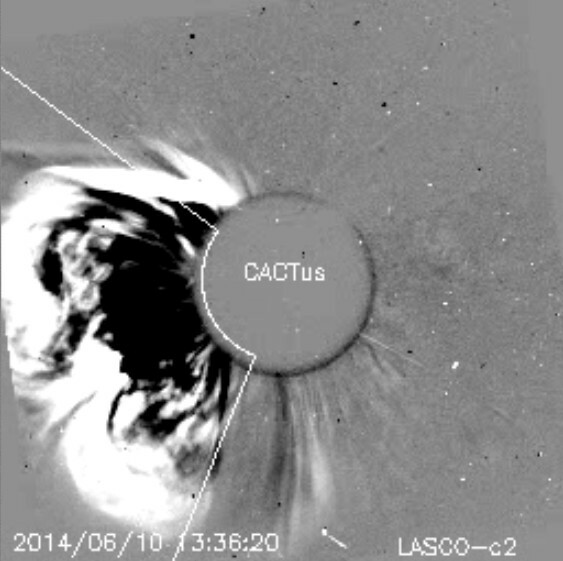 Due to the limb proximity, the plasma cloud was directed to the east and mostly away from Earth. A glancing blow may be possible by June 13. 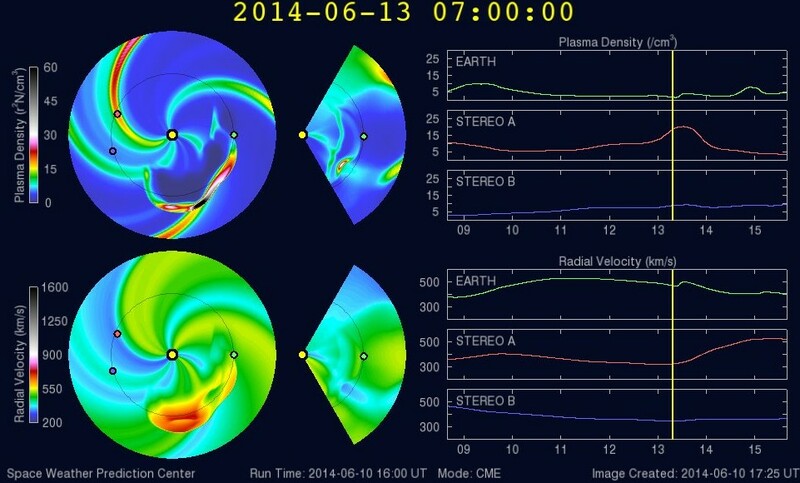 Additonal imagery reveals that a glancing blow CME impact will be possible by June 13. 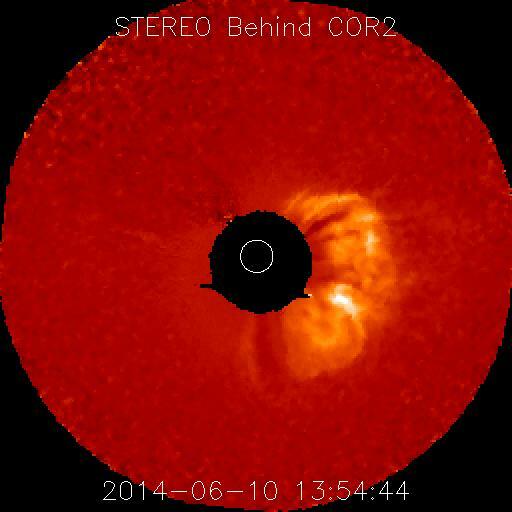 Only a slight chance of geomagnetic storming is to be expected. 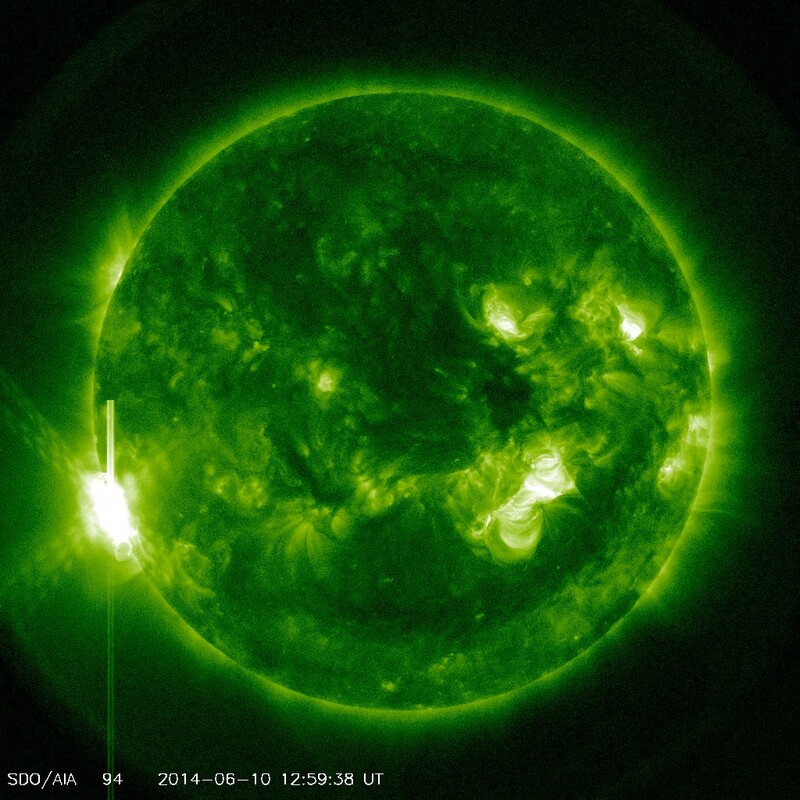 The WSA-Enlil Solar Wind Prediction model released by the Space Weather Prediction Center has been updated to include the bright CME from this morning following the second X-Flare event (X1.5). As expected, the expansive plasma cloud will likely pass to the east of our planet and have little to no impact on our geomagnetic field. 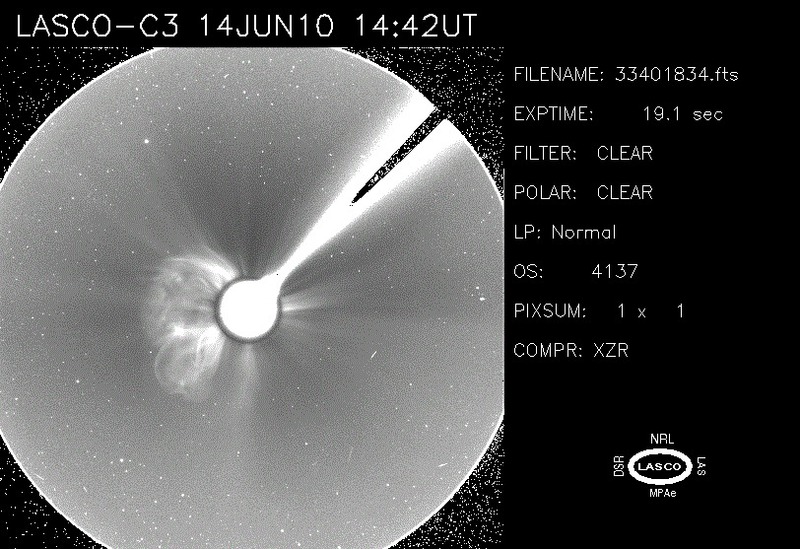 Initial imagery courtesy of LASCO C3 shows the bright CME heading to the east and away from Earth. Additional imagery still required to determine if a weaker glancing blow is possible. 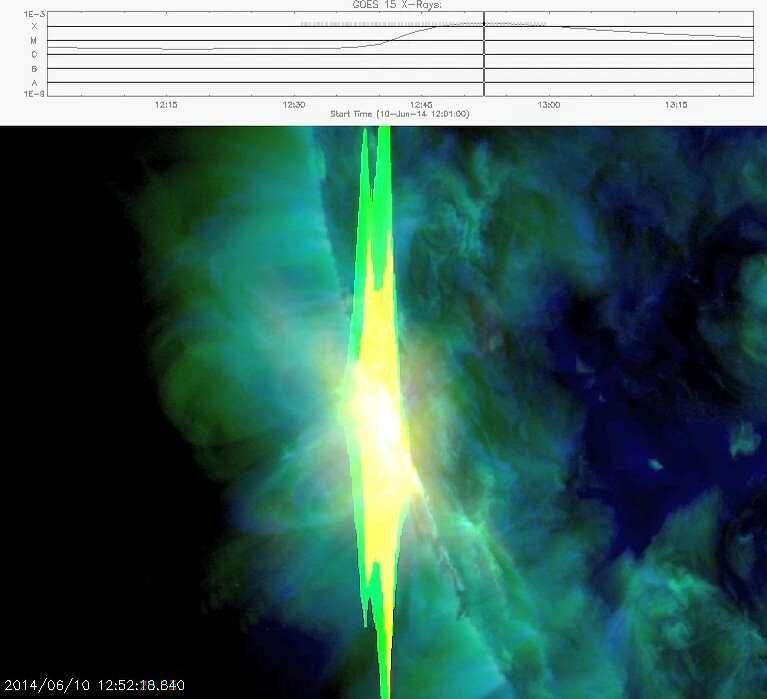 A bright coronal mass ejection (CME) now visible in the latest STEREO Ahead COR2 imagery beginning at 13:39 UTC Based on the sunspot location, most of the plasma cloud should be directed away from our planet. More updates regarding a possible glancing blow when more imagery becomes available. AIA video of the event is now available on the right hand side of this page. 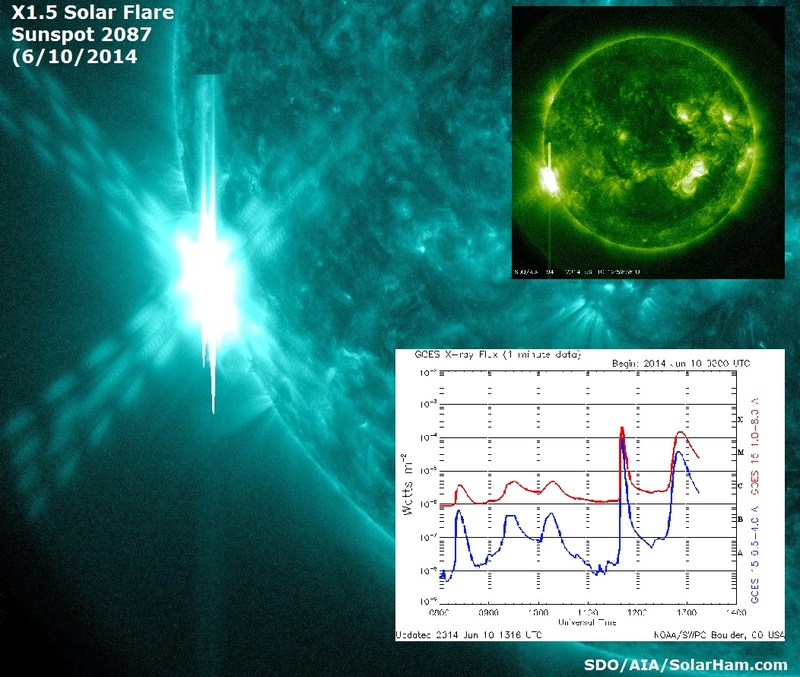 The latest event was associated with at TYpe IV radio emission and a 10cm Radio Burst (TenFlare). 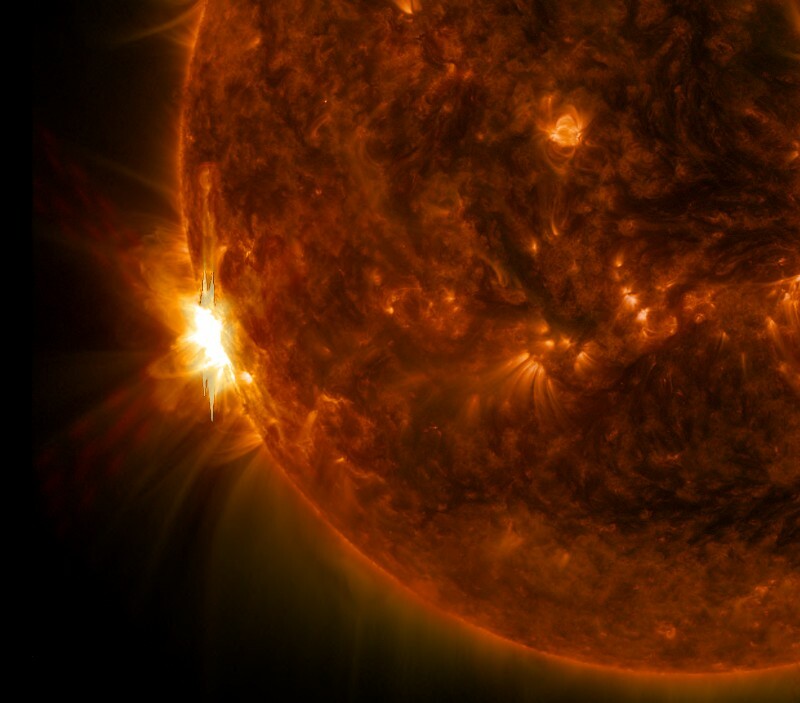 A strong solar flare measuring X1.5 observed around region 2087 at 12:52 UTC. This is now the second such event in just over an hour. More to follow.